This is the color version of the squadron patch for the 78th Fighter Squadron stationed at Shaw AFB, SC. This patch DOES NOT come with velcro attached. This is the desert version of the squadron patch for the 78th Fighter Squadron stationed at Shaw AFB, SC. This patch DOES NOT come with velcro attached. 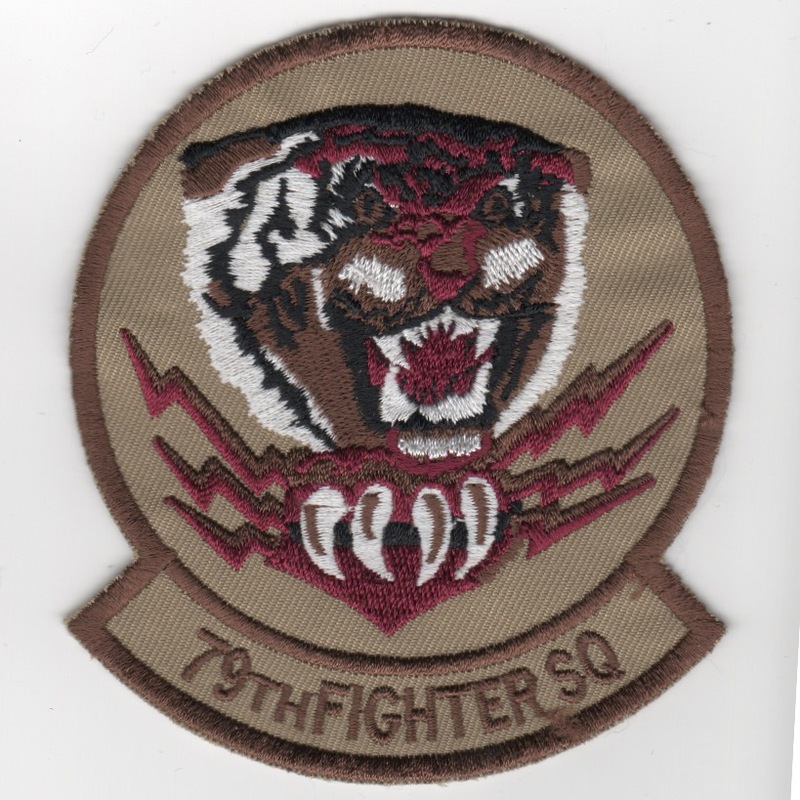 This is the subdued version of the squadron patch for the 78th Fighter Squadron stationed at Shaw AFB, SC. This patch DOES NOT come with velcro attached. This is 78th Fighter Squadron "Bushmaster Viper Driver" patch for the F-16 squadron stationed at Shaw AFB, SC. This patch DOES NOT come with velcro attached. This is the color version of the squadron patch for the 79th Fighter Squadron stationed at Shaw AFB, SC. This patch DOES NOT come with velcro attached. This is the desert version of the squadron patch that has the "merrowed border" created for the 79FS stationed at Shaw AFB, SC. This patch DOES NOT come with velcro attached. The 79FS is part of the 20FW at Shaw Air Force Base, SC. It operates the General Dynamics F-16 Fighting Falcon aircraft conducting air superiority missions. The squadron is one of the oldest in the United States Air Force, with its origins dating to 22 February 1918. It was organized at Rich Field, Waco, TX, as a pilot training Squadron during World War I with the squadron seeing combat during World War II, and became part of the USAF in Europe (USAFE) during the Cold War. 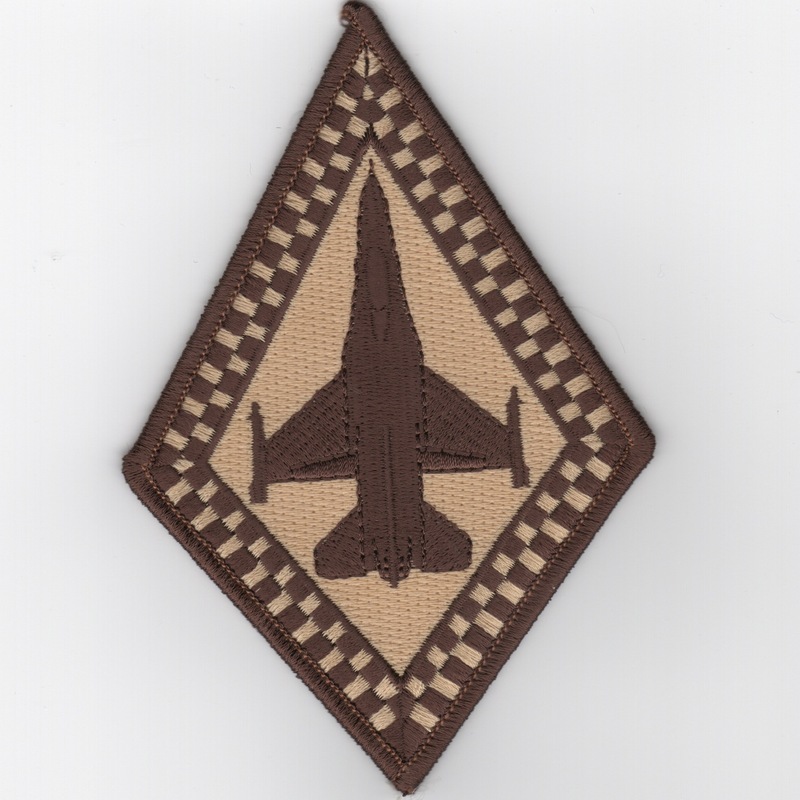 This is the desert version of the squadron patch that has the "cut-border" and was found in a Korean embroidery shop in very limited quantities, has the "in-theater-made" feel to it, and does not come with velcro attached. This is the subdued version of the squadron patch for the 79th Fighter Squadron stationed at Shaw AFB, SC. This patch DOES NOT come with velcro attached. The 80FS (traditionally nicknamed the "Headhunters", and since 1971 also the "Juvats") flew the General Dynamics F-16 Fighting Falcon as a fighter squadron of the USAF, currently part of the 8th Operations Group of the 8th Fighter Wing, and stationed at Kunsan Air Base, Republic of Korea. The 80FS has served in combat operations in World War II, the Korean War, and the Vietnam War. 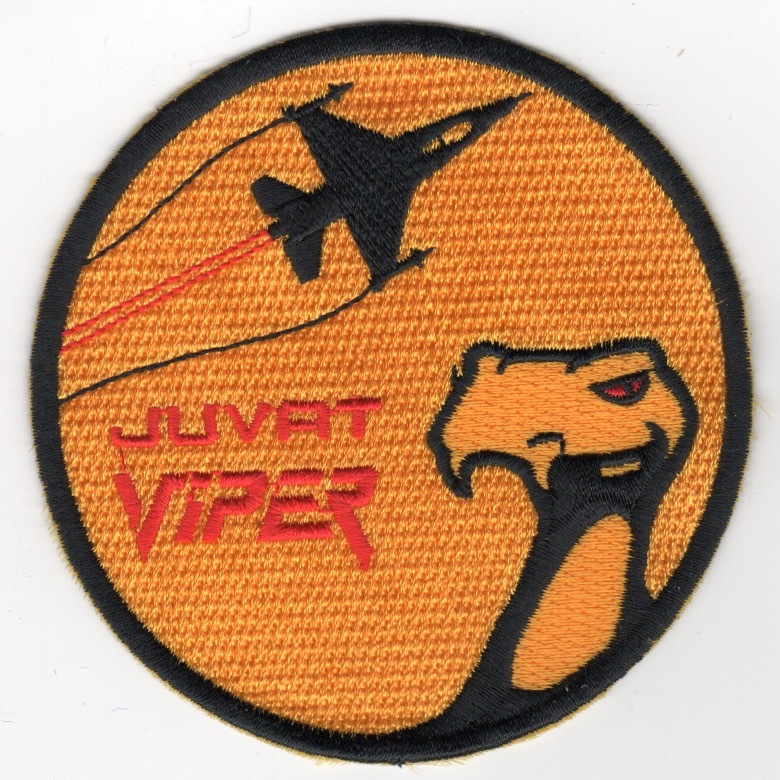 This is the yellow version of the "JUVAT VIPER" patch and shows the F-16 and a 'Viper-head' on the patch. It was found in a Korean embroidery shop in limited quantities, has the "in-theater-made" feel to it, and does not come with velcro attached. The 80FS (traditionally nicknamed the "Headhunters", and since 1971 also the "Juvats") flew the General Dynamics F-16 Fighting Falcon as a fighter squadron of the USAF, currently part of the 8th Operations Group of the 8th Fighter Wing, and stationed at Kunsan Air Base, Republic of Korea. The 80FS has served in combat operations in World War II, the Korean War, and the Vietnam War. 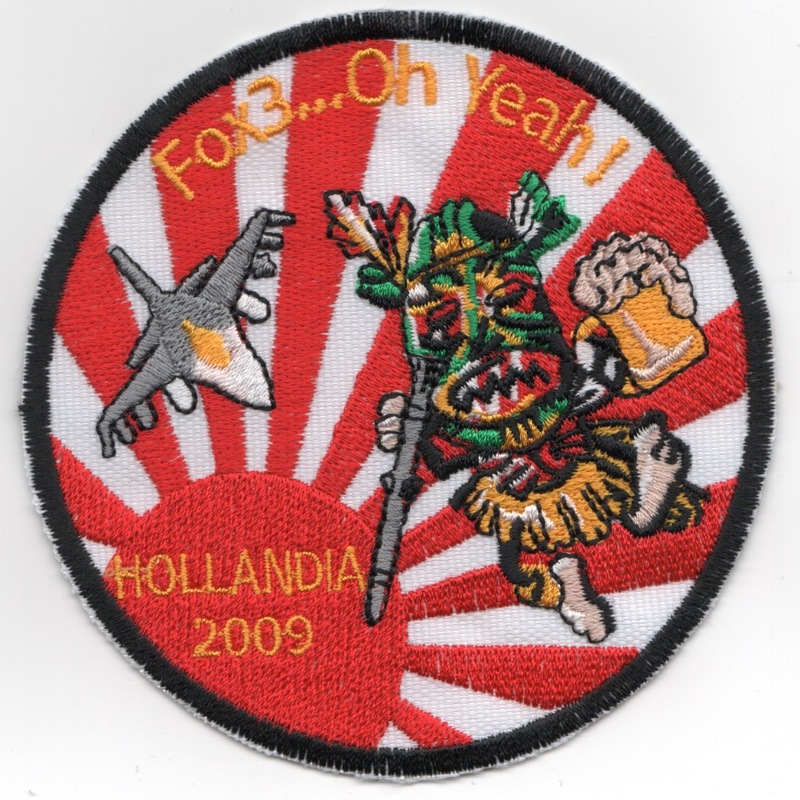 This is the patch created by the squadron for their participation in the 2009 HOLLANDIA Exercise and has the red-white sun rays typical of the PACIFIC forces. This patch was found in a Korean embroidery shop in VERY limited quantities (ONLY TWO), has the "in-theater-made" feel to it, and does not come with velcro attached. If you want one, you will have to email me to order. The 80FS (traditionally nicknamed the "Headhunters", and since 1971 also the "Juvats") flew the General Dynamics F-16 Fighting Falcon as a fighter squadron of the USAF, currently part of the 8th Operations Group of the 8th Fighter Wing, and stationed at Kunsan Air Base, Republic of Korea. The 80FS has served in combat operations in World War II, the Korean War, and the Vietnam War. 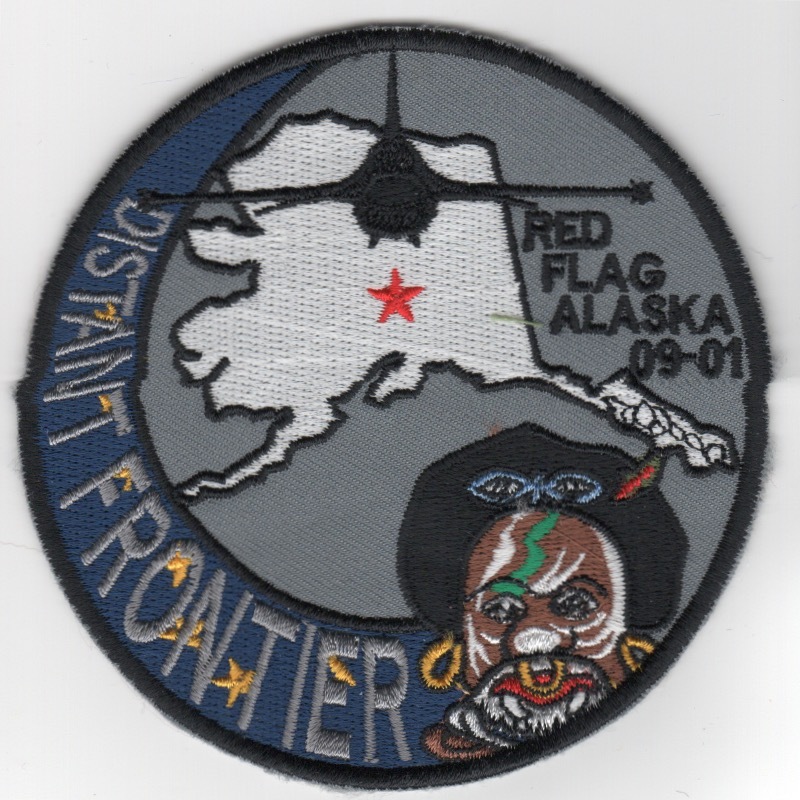 This is the patch created by the squadron for their participation in the 2009 RED FLAG/ALASKA 09-01 Exercise and has the Blue-Gray swirl. This patch was found in a Korean embroidery shop in limited quantities, has the "in-theater-made" feel to it, and does not come with velcro attached. The 80FS (traditionally nicknamed the "Headhunters", and since 1971 also the "Juvats") flew the General Dynamics F-16 Fighting Falcon as a fighter squadron of the USAF, currently part of the 8th Operations Group of the 8th Fighter Wing, and stationed at Kunsan Air Base, Republic of Korea. The 80FS has served in combat operations in World War II, the Korean War, and the Vietnam War. 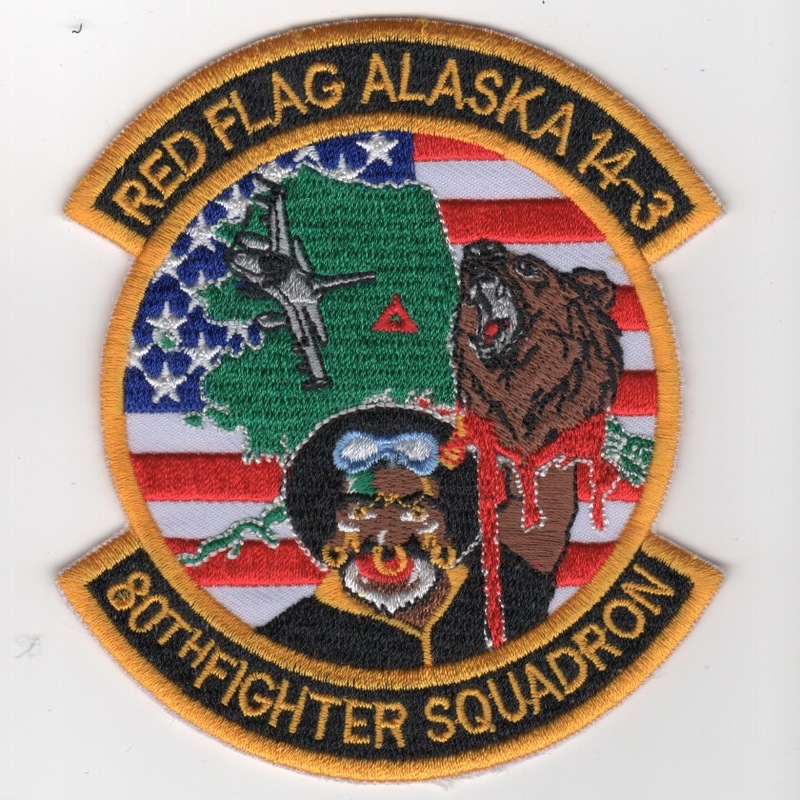 This is the patch created by the squadron for their participation in the 2014 RED FLAG/ALASKA 14-3 Exercise and has the R/W/B background. This patch was found in a Korean embroidery shop in limited quantities, has the "in-theater-made" feel to it, and does not come with velcro attached. There are only TWO, so you have to email me to get one (while they last)! Air Combat Command declared initial operational capability for the QF-16 full-scale aerial target (FSAT) Sept. 23. The decision was approved by Gen. Hawk Carlisle, the ACC commander, for the total of 15 QF-16s currently available for target operations. The jets are assigned to Tyndall Air Force Base, Florida, and flown by the 82nd Aerial Target Squadron under the 53rd Wing. The 82nd ATRS operates the only FSAT capability in the Defense Department. In accordance with U.S. law, Title 10, Section 2366 of the U.S. Code, a missile system must undergo lethality testing before it can enter full-scale production. The 82nd ATRS maintains DOD�s sole capability to execute the Title 10 requirement through the FSAT program. The QF-16 is the introduction of fourth-generation fighter capabilities in the aerial target mission. It maintains all inherent capabilities of the baseline F-16 Fighting Falcon including supersonic flight and 9 G maneuverability. This patch comes with velcro attached. 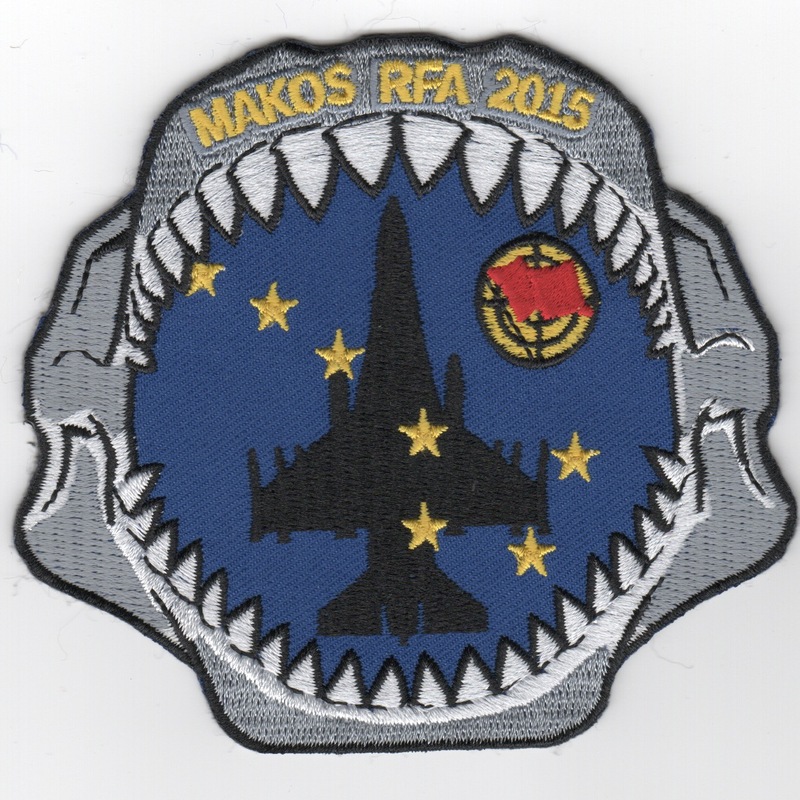 This is the squadron patch for the Makos that fly the F-16 out of Homestead AFB, FL for the FL Air National Guard. 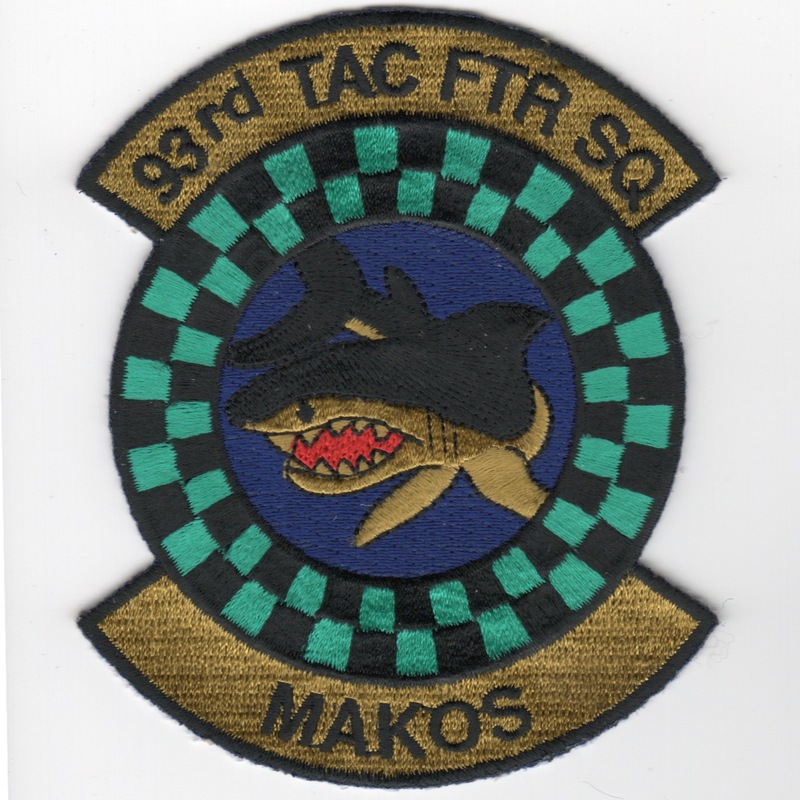 This is the "Friday" patch for the Makos that fly the F-16 out of Homestead AFB, FL for the FL Air National Guard. This patch does not come with velcro attached. This is the color version of the "swirl" patch for the Makos that fly the F-16 out of Homestead AFB, FL for the FL Air National Guard. 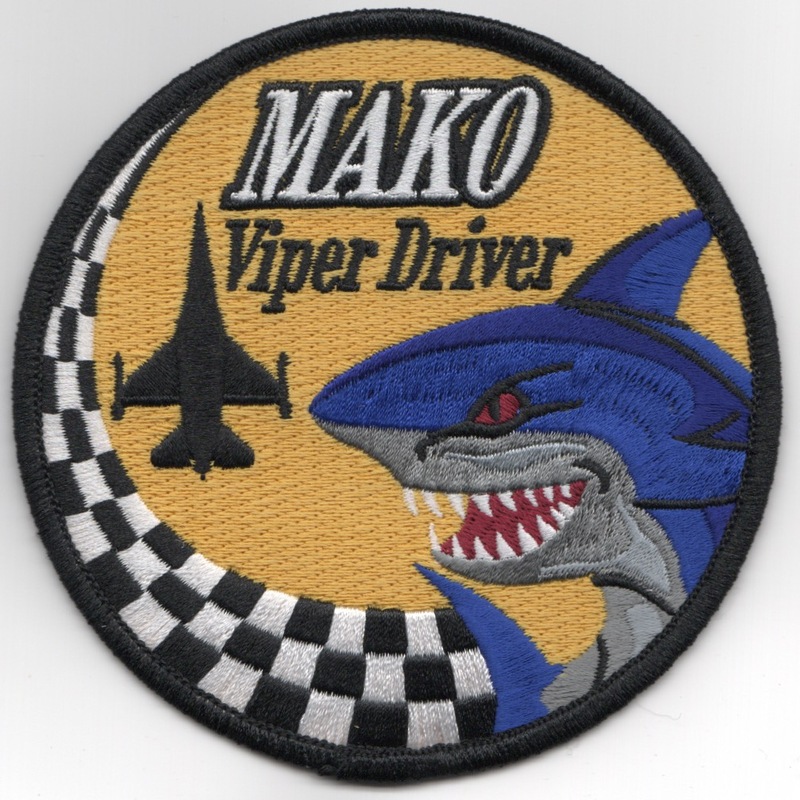 This patch says "MAKO VIPER DRIVER" and does not come with velcro attached. 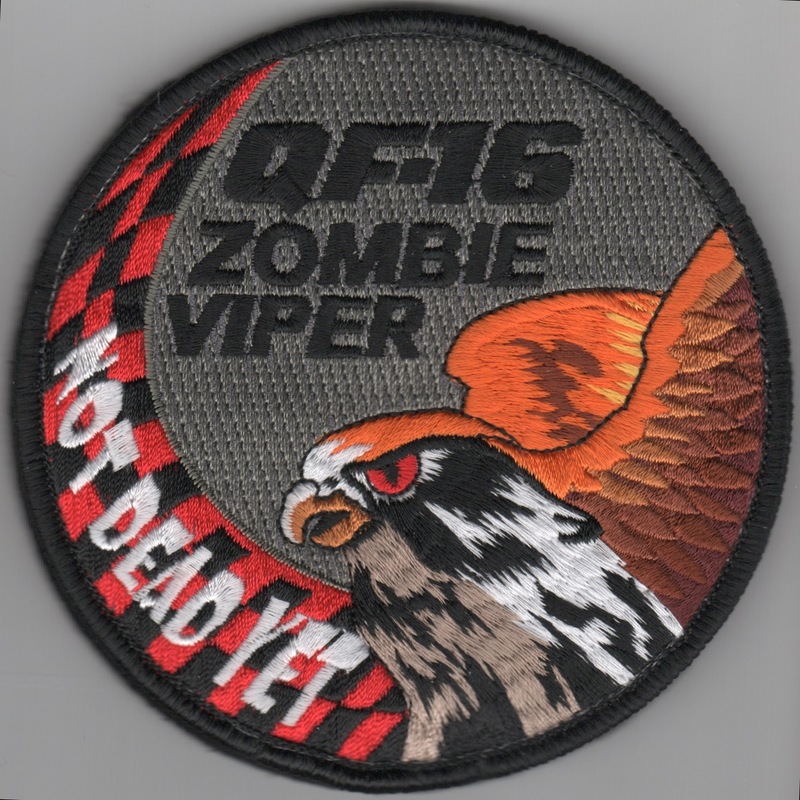 This is the desert version of the "swirl" patch for the Makos that fly the F-16 out of Homestead AFB, FL for the FL Air National Guard. 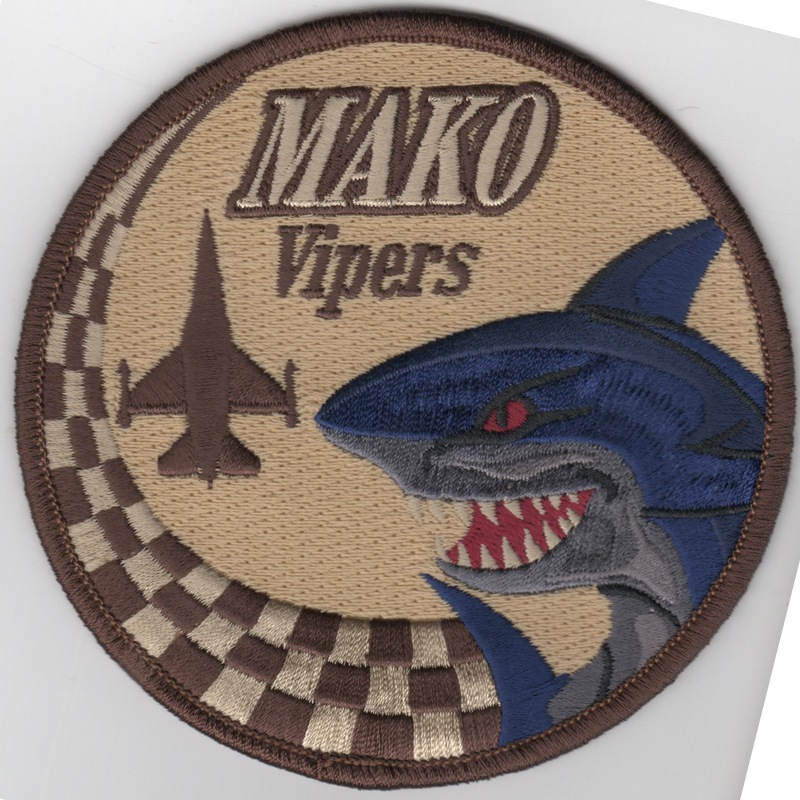 This patch says "MAKO VIPERS" and does not come with velcro attached. 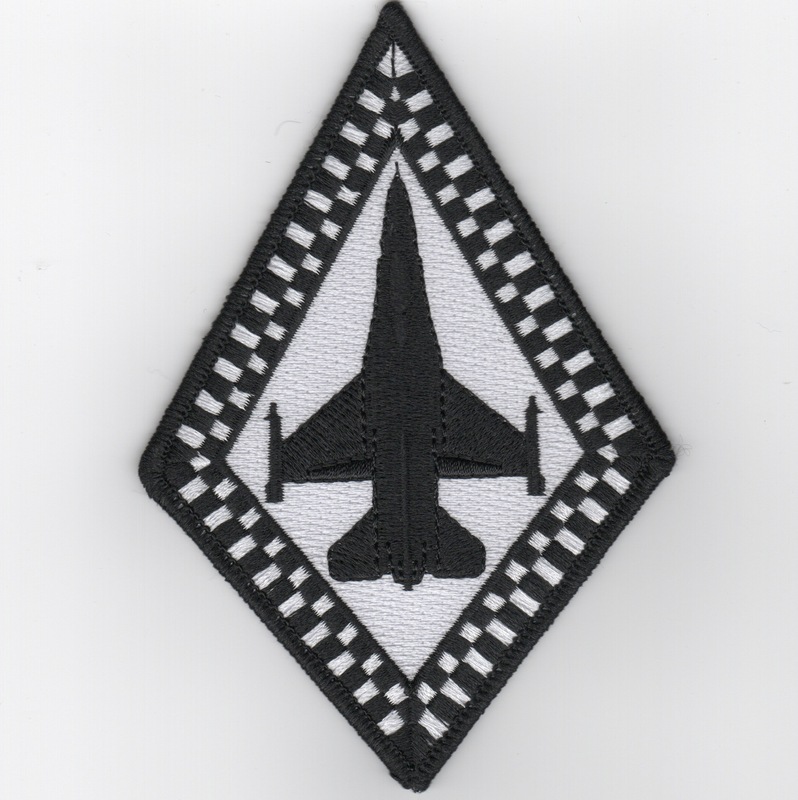 This is the black/white version of the checkerboard "aircraft" patch for the Makos that fly the F-16 out of Homestead AFB, FL for the FL Air National Guard. This is the desert version of the checkerboard "aircraft" patch for the Makos that fly the F-16 out of Homestead AFB, FL for the FL Air National Guard. 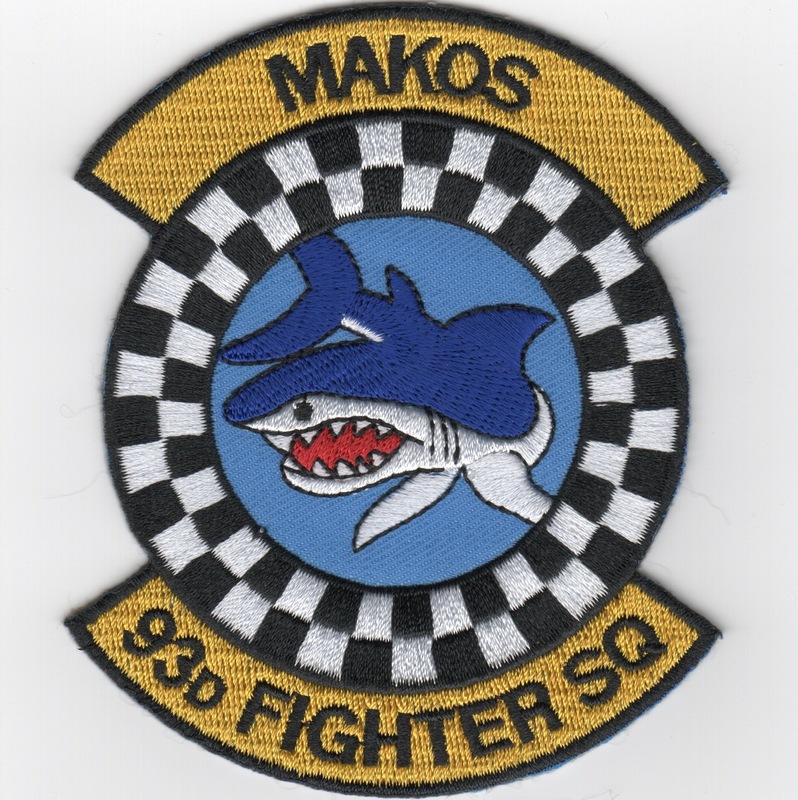 This is the subdued version of the 93rd Tactical Fighter Squadron (TFS) 'Makos'. I think they flew the F-4 Phantom at one point, but not for sure. Only received a few of these, so when they are gone, that's probably it. Don't know if I'll be able to find any more, so grab one now. This patch was created for the 93rd Fighter Squadron for their participation in the 2015 Red Flag exercise at Nellis AFB, NV north of Las Vegas. The Michigan Air National Guard (MI ANG) is the air force militia of the State of Michigan, United States of America. It is, along with the Michigan Army National Guard, an element of the Michigan National Guard. The Michigan Air National Guard is also an Air Reserve Component of the United States Air Force. 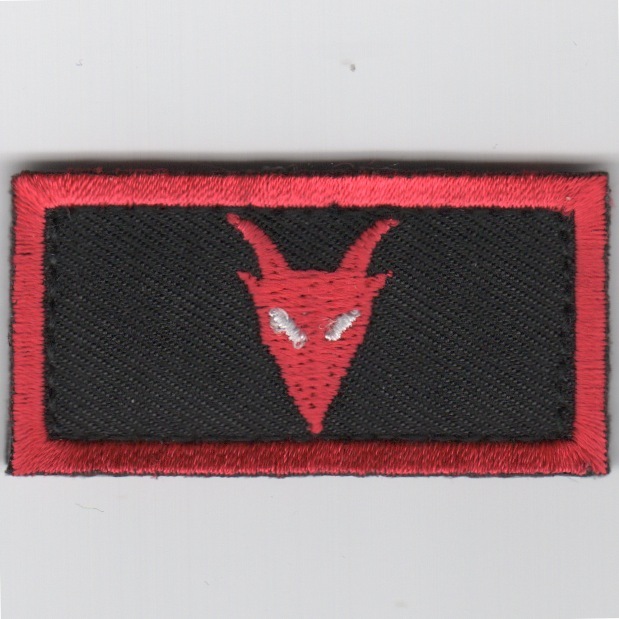 This is the 107FS "Red Devil" F-16 SWIRL patch and does not come with velcro attached. 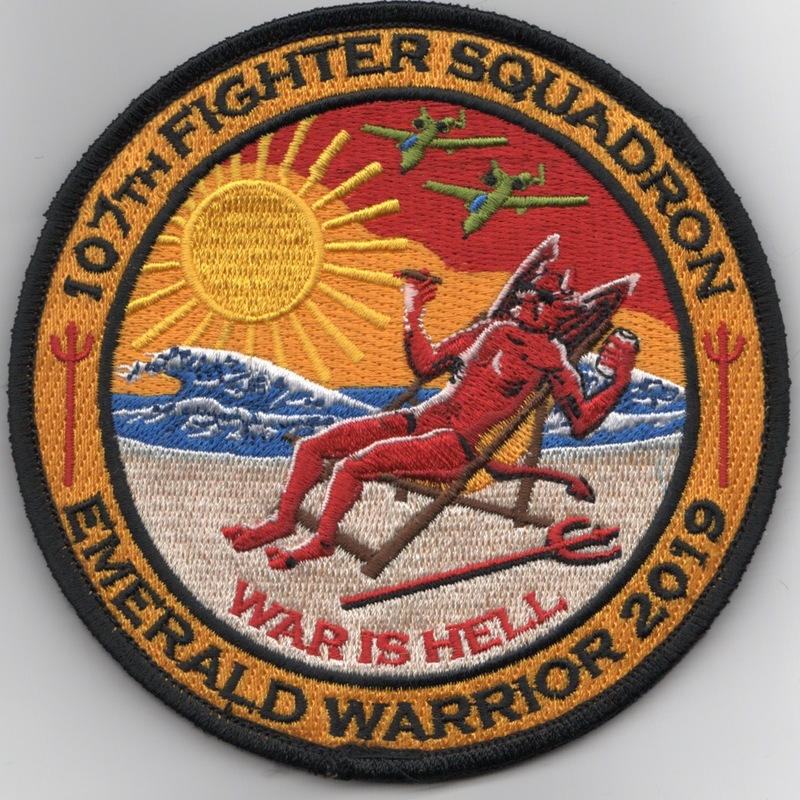 (Another AV8RSTUFF Creation): This is the 107FS 2019 'EMERALD WARRIOR' det patch created for their participation in an exercise along the Gulf of Mexico. It shows one of the 'Red Devils' sunbathing under a scorching sun with the caption "WAR IS HELL" along the bottom. Their are also two A-10s flying over the waves of the Gulf. This patch does come with velcro attached. This is the "Viper/Arrow" patch for the 107th Fighter Squadron/Michigan Air National Guard unit that states "VIDERE EST DELERE". This is the "Arrow" (only) patch for the 107th Fighter Squadron/Michigan Air National Guard unit. This is the desert version of the 107th Expeditionary Fighter Squadron F-16 Patch. This is the desert version of the 111th Fighter Squadron's "Ace in the Hole" Friday patch. This is the color version of the 112th Fighter Squadron's deployment patch when they were deployed to Operation Enduring Freedom. Their motto was "Let's Roll" and says "STINGERS" along the bottom. This is the "Racers" version of the 113th Fighter Squadron that fly the F-16C Viper for the Indiana Air National Guard. This is the 1000 Hours version of the "Racers" of the 113th Fighter Squadron that fly the F-16C Viper for the Indiana Air National Guard. 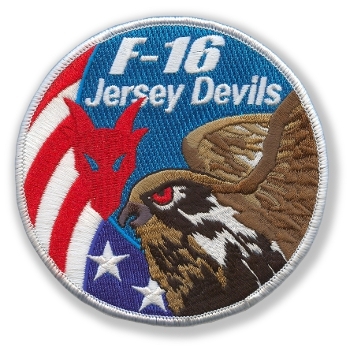 This is the desert version of the "Jersey Devils" squadron patch created for the 119th Fighter Squadron that flies the F-16 (version unknown) located out of New Jersey. They flew out of Balad, IRAQ during their last deployment with a mix of NJ/PA/VT jets. All three states' Guard units will be using those aircraft. The 119th belong to the 177 FW of the NJ ANG out of Atlantic City IAP. The unit is currently flying the F-16C Block 25. 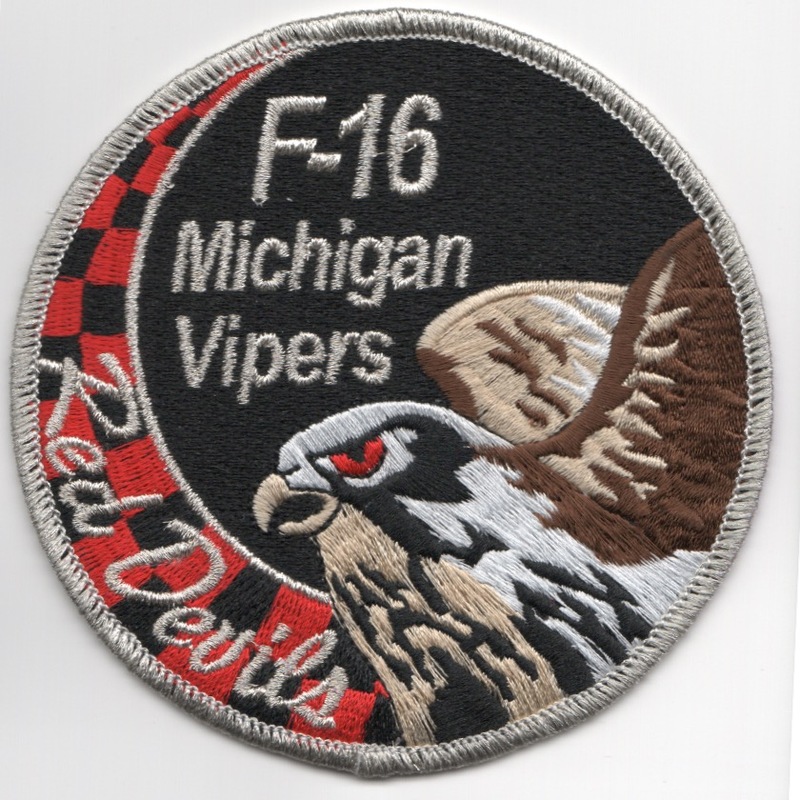 This is the desert version of the "Jersey Devils" deployment patch created for the 119th Fighter Squadron that flies the F-16 (version unknown) located out of New Jersey. They flew out of Balad, IRAQ during their last deployment with a mix of NJ/PA/VT jets. All three states' Guard units will be using those aircraft. This is the F-16 "SWIRL" created for the 119th Fighter Squadron that flies the F-16 (version unknown) located out of New Jersey. It states "Jersey Devils" and has the devil's face in the swirl. This is the F-16 'Aircraft Triangle' for the 119 FS that flies out of Atlantic City, NJ. This is the "Friday" patch for the 119th Fighter Squadron. 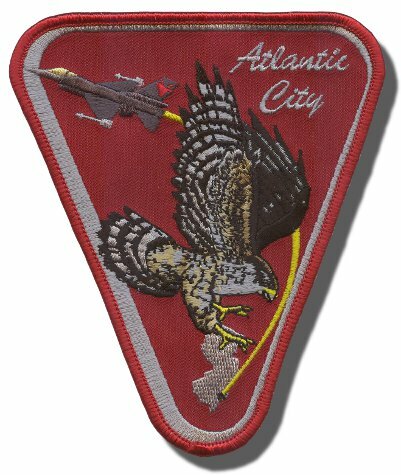 The 119FS is a unit of the New Jersey Air National Guard 177th Fighter Wing located at Atlantic City Air National Guard Base, New Jersey. The 119th is equipped with the F-16 Fighting Falcon aircraft. The squadron is a descendant organization of the World War I 5th Aviation School Squadron (later 119th Aero Squadron), established on 5 June 1917. It was reformed on 30 January 1930, as the 119th Observation Squadron, and is one of the 29 original National Guard Observation Squadrons of the United States Army National Guard formed before World War II.